Every now and again you come across that special somewhere with a charm that blows you away at first sight. Every stone of the ancient houses in the narrow lanes of the old village is steeped in history. The story of Val d’Isère begins in 1888 with the opening of the first hotel. 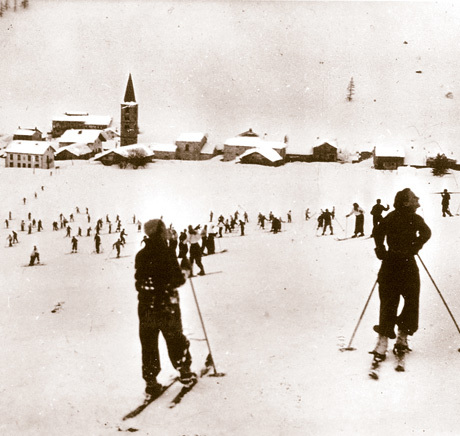 By the 1930s skiing was becoming a fashionable sport and the village had already established a first-class reputation. During the post-war years skiing truly came of age and, thanks to its unique ski area and the authentic charm of the village, Val d’Isère developed into an international destination. Val d’Isère is also a resort of champions. No matter whether they were actually born here or arrived here as young children. French sporting heroes such as Jean-Claude Killy, Henri Oreiller and the Goitschel sisters developed their skills and honed their exceptional talent on the challenging slopes of the ski area. In 1889, when a French army officer gave the parish priest the village’s first pair of skis who was to know that one day this would lead to the creation of the Face de Bellevarde, Val d'Isère’s renowned World Cup race course. 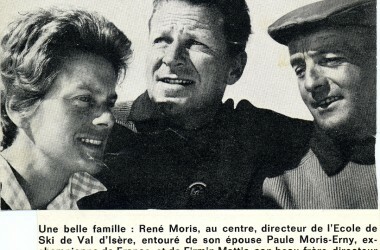 Ever since 1906 when Louis Bonnevie became champion of France, the history of the resort has been associated with some of the great names of skiing. Henri Oreiller, Jean-Claude Killy, Marielle and Christine Goitschel won a mighty total of 19 gold medals in major competitions. Today, Victor Muffat-Jeandet and Clément Noël represent Val d'Isère’s Club des Sports on the international stage.